Natrol CetylPure contains cetyl myristoleate, a naturally occurring fatty acid. This revolutionary compound works to lubricate joints and helps to promote mobile joint function. 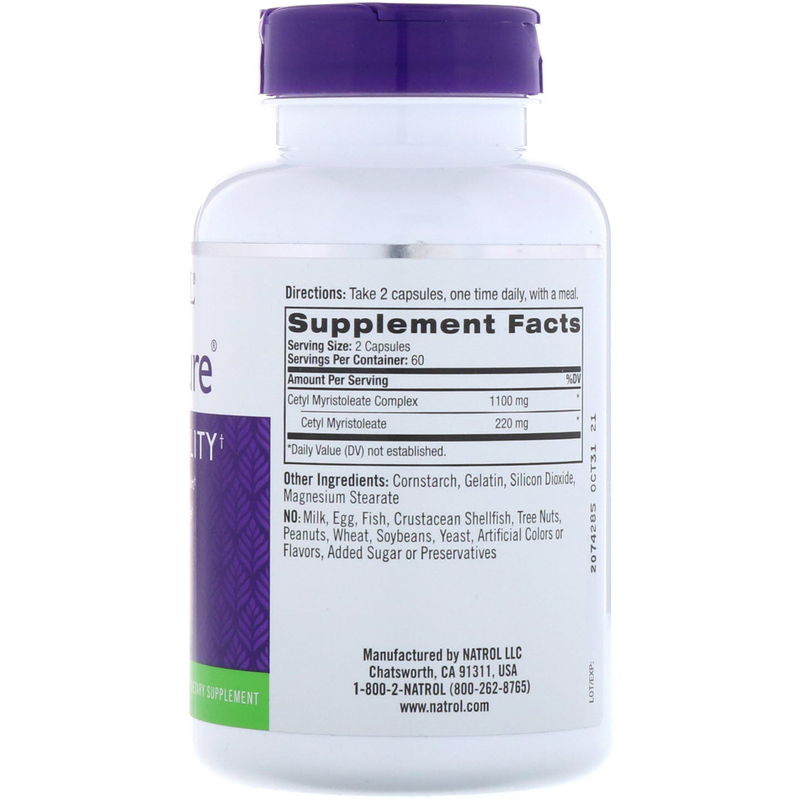 CetylPure us a cutting-edge compound that promotes the relief of joint discomfort following exercise. With age, the ability to produce some of the nutrients necessary for joint function and cartilage building declines. 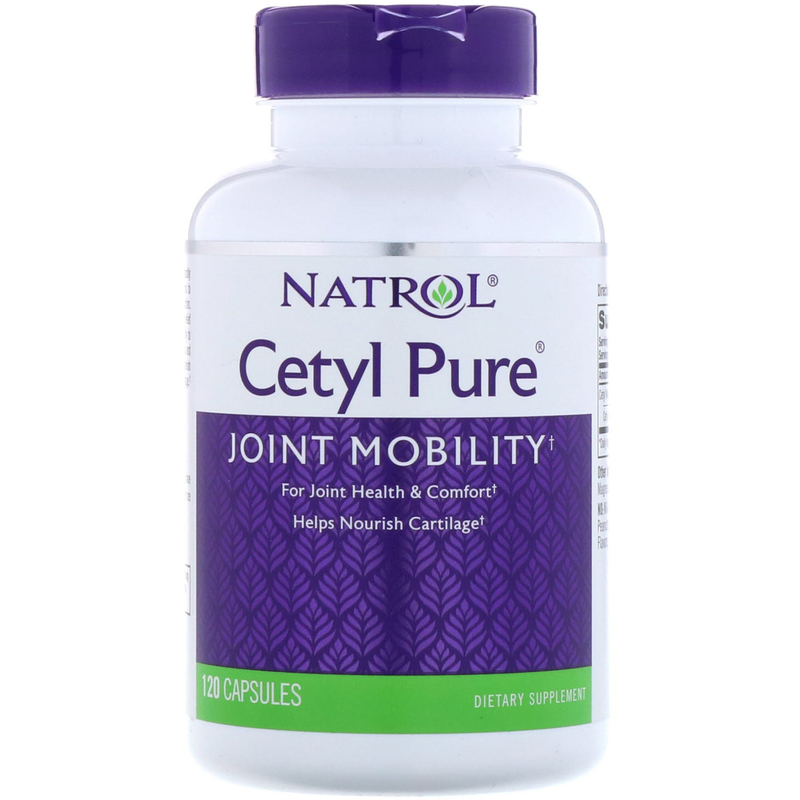 Natrol CetylPure helps to nourish and maintain the natural lubricating fluid in joints and cartilage. Cornstarch, gelatin, silicon dioxide, magnesium stearate.